With 30 years of experience in environmental law and policy, he served as Minister of Environment of Peru (2011 to 2016) and President of UNFCCC’s COP20. In 1986 he founded the Peruvian Society for Environmental Law, an influential institution in Latin American, serving as its Executive Director for 20 years. 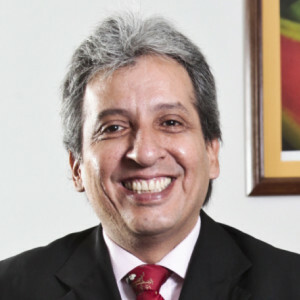 Mr Pulgar-Vidal holds a law degree from Pontificia Universidad Católica del Perú –where he is professor- and has concluded studies for a Master’s in Business Law at Universidad Peruana de Ciencias Aplicadas. He is also a board member of Forest Trends, Amazon Conservation Association and Consultative Member of the Carbon Institute.